We’ve come to the “End of the Road” as they say. This will be the final installment of “Wild Theories” as we wrap up the implausible methodology of thought we have presented to the public. DMT is a conundrum within itself as being an endogenous hallucinogenic compound makes little logical sense. If we are to believe that evolution has provided the natural selection for the optimization of the multitude of species we know today, it is difficult to make the case that hallucinatory compounds assist in the proliferation and survival of a species. That is… unless DMT serves a greater innate purpose than providing “visions” for the hundreds of plants and dozens of animals it has been found to subside in. We must remain cognizant that there are levels to everything and DMT is no different. In Dr. Rick Strassman’s book he meticulously provided some framework for this as he would administer 5 different doses (0.05mg/kg, 0.1, 0.2, & 0.4) of DMT to his volunteers with vastly different experiential remarks in accordance with dose amount. Gamma waves are intriguing to observe as they appear to correlate with a higher order of consciousness and neural pathway formation. It would seem pertinent to discuss the formation of these brain waves as it pertains to the optimization of a person’s brain function as well as their overall health. There are hints that these brain waves correlate with a greater hemispheric coherence and brain connectivity which would logically lead us to postulate that greater abilities coincide with a more robust, symmetrical utilization of the brain versus the normal asymmetry. Maybe most importantly Gamma waves seem to arise during moments of apparent “supernormal” abilities. This is key as it allows the public to observe the innate potential behind this EEG state and hormonal release. Externalization is a must in order to be taken seriously by scientific circles. Nevertheless… let us finish this series while continuing to ask what we believe are important questions as it pertains to both endogenous DMT synthesis and Gamma wave formation. Carbon dioxide (CO2) generated in tissues (from cell metabolism) passively diffuses into capillaries via the interstitial fluid. Once in the bloodstream, CO2 then enters red blood cells and the enzyme carbonic anhydrase converts CO2 and intracellular water (H2O) to carbonic acid (H2CO3), which spontaneously splits into bicarbonate (HCO3−) and a hydrogen ion (H+). Based on analyzing the various endogenously induced altered states of consciousness that appear to relate to DMT synthesis, it seems that the levels of CO2 production have been suppressed. Since we’ve already covered this extensively in past pieces there is little need to summarize this aspect. The suppressed CO2 aspect appears to relate to “Chloride Shift” being that bicarbonate (HCO3-) formation is based upon CO2 production. If CO2 production falls, it would appear as though bicarbonate formation would also fall. If bicarbonate formation is suppressed, there would appear to be a measurable difference in Chloride levels based on the outlined mechanisms of Chloride Shift. What about the “Electrical Water” aspect? In 2013, Dr. Gerald Pollack would release his ground-breaking book titled “The Fourth Phase of Water”. In this book he documents his findings regarding the properties of Exclusion Zone (EZ) water in which the molecules organize themselves into H3O2 (water (H2O) + hydroxide (OH-)) rather than simply H2O. This is a more viscous type of water that carries a negative electrical charge that is found within cells. Part of the mechanism utilized by the enzyme carbonic anhydrase to form hydrogen (H+) and bicarbonate (HCO3-) from CO2 & H2O, is the combining of a hydroxide (OH-) ion with CO2 to form bicarbonate (HCO3-). The question that presents itself is… what happens to the hydroxide (OH-) ion when no CO2 is present to bind to it? Does it happen to bind to the H2O in the cell increasing the amount of intracellular H3O2? If intracellular H3O2 increases, does that lead to the diffusion of Chloride ions out of the RBCs and into the plasma which leads to the elevated Chloride levels showcased during respiratory alkalosis? It would seem that an overabundance of both H3O2 and Chloride ions within a RBC would cause an overly negative charge and a subsequent overflux of fluid absorption potentially leading to cell rupture. We assume that natural mechanisms arise to alleviate imbalanced situations. A 1999 study in the Journal of Pineal Research might provide some answers as the results found that Melatonin protects RBCs from rupturing. Being that blood takes about one minute to circulate throughout the entire body it would appear that the cycling of the blood during sustained rhythmic breathing might provide the mechanics for H3O2 formation. The book titled “Fundamentals of Biochemistry: Life at the Molecular Level” states that 10% of the total blood CO2 is lost through the lungs in each circulatory cycle. The fact that Chloride shift is cited as increasing the osmotic pressure within RBCs and Dr. Pollack has cited pressure as a key component of H3O2 formation, this reinforces our speculation of sustained rhythmic breathing as leading to elevated EZ water within our cells. The reason for bringing this concept up in terms of the DMT/Gamma wave discussion is based on our 2015 interview with Dr. Rick Strassman in which he stated that it’s been known for 60 years that DMT is produced in the lungs. The fact that Chloride Shift takes place in the lungs which might possibly correlate with an increase of “Fourth Phase Water” formation is intriguing to us based on our viewpoint of the electrical changes within the body and brain that appear to correlate with DMT synthesis. We must remain cognizant that one breakthrough within the body doesn’t necessarily happen separately from another breakthrough within the body. There appears to be a synergistic component to all of this which should help us understand ourselves better. We tend to believe that the organs in our endocrine system secrete a specific set of hormones in specific amounts based on an innate sensor that measures electrical potential of the plasma and cells. Since these organs have direct contact with blood and since the blood cycles throughout the body within one minute, hormonal secretion could potentially fluctuate dramatically in a short time frame. In 2009, the Journal of Biological Chemistry outlined a study observing changes in Pineal Gland gene expression profile (over 600) between mid-night and mid-day. We tend to believe that this has as much to do with respiration rate and EEG state if not moreso than simply darkness. This study within itself might supply some valuable data as to the genetic mechanisms involved in the synthesis of the enzyme related to endogenous DMT. A recent 2016 study published in the journal Science observed the fact that salts in the brain play a pivotal role in the sleep-wake cycle of mice (and presumably humans). They found that potassium ions are elevated in the extracellular fluid within the brain when the mice were awake and suppressed when the mice were asleep. They found an inverse correlation with magnesium and calcium compared to potassium. This is a significant finding as many neuroscientists long held the belief that neurons generated the changes in extracellular salt concentration rather than extracellular composition dictating neuron activity. It’s interesting to note that the effects of respiratory alkalosis also lead to suppressed levels of blood potassium levels (hypokalemia) as seen in the brain during sleep. (I came across a passage in Dr. Walter J. Freeman’s book “Neurodynamics: An Exploration in Mesoscopic Brain Dynamics” in which he wrote, “Histamine may also enable interneurons to switch between excitatory and inhibitory actions by controlling the uptake and intracellular concentration of chloride ions, thereby accounting for the emergence of Gamma Waves in the EEG shortly after birth, and on waking from deep sleep.” I would send an inquiry to Dr. Freeman regarding whether the formation of Gamma waves indicated an inflow or outflow of chloride ions within the neuron. He would reply, “Measurement of Cl- ionic transmembrane gradients is very difficult. While the concepts of Chloride Shift, “4th Phase of Water”, 600+ pineal gene expression changes and ionic fluctuations in the brain during sleep might not seem to be directly related in terms of DMT & Gamma Waves… I believe they are. They are simply different layers of the same “cake”… ionic, genetic, and electric (4th phase). 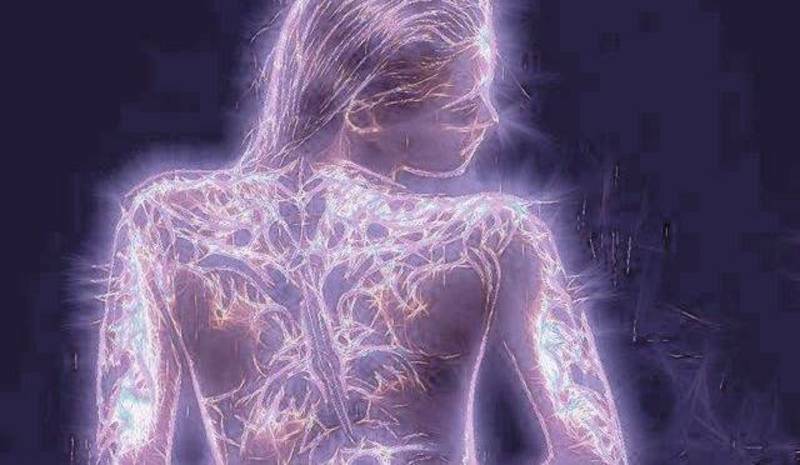 Many of the reports that correlate with the DMT experience cite significant sensations as it pertains to electricity within the body. If we are to have a better grasp of what role the “Spirit Molecule” plays within us, it might behoove us to think in a more holistic manner rather than reducing it to neuronal firing. It’s been quite extensively observed that Melatonin and Dopamine operate as antagonists to one another. While the level of one compound rises, the level of the other falls (and vice versa). It would appear that in terms off EEG correlates… the slower brain waves (Slow Alpha, Theta, Delta) tend to signify increased Melatonin production and faster brain waves (Gamma, Beta, High Alpha) tend to signify increased Dopamine production. As cited in previous pieces, it appears as though “phase-coupling” takes place during REM sleep in which slower brain waves (Theta/Delta) occur simultaneously with bursts of faster brain waves (Gamma). This would theoretically signify bursts of Dopamine production while Melatonin levels remain elevated. The fact that this would occur during our predominant “dream state” potentially correlated with DMT release might provide additional perspective on the mechanics of what is transpiring during these experiences. 14. Mental Illness or Unquantifiable Insights? The general tendency for a person who has come across the concept of endogenous DMT is to attribute mental illness and subsequent hallucinations to this molecule. This is not entirely unfounded as it would appear to make somewhat logical sense that a person producing greater measurable quantities of DMT would likely be in a perpetual state of altered perception compared to the norm. However, since we tend to utilize scientific documentation to support our theories (sometimes), there appears to be conflicting data in terms of this discussion. In 1976, the journal Psychopharmacology published a paper comparing the levels of DMT in schizophrenic patients and control volunteers utilizing gas chromatographic-mass spectrometric determination with similar results showcasing no correlation with DMT levels and schizophrenia. It would appear important to not only take into account the endogenous hormonal differences of the “mentally ill” but to additionally analyze their physical brain structures. In Part of 2 of the “DMT & Gamma Waves” series, we outlined the observation of Corpus Callosum (CC) robustness as it pertains to generally observed functionality. We cited the findings of Albert Einstein’s significantly thicker CC, increased intelligence & hypnotizability coinciding with CC (size/thickness), as well as the studies citing the ability for meditation to increase CC thickness. In 2010, the Journal of Psychiatry and Neuroscience published a paper referencing multiple studies regarding Gamma waves and Schizophrenia. The results appear to remain consistent that the power of Gamma waves for patients with schizophrenia are reduced compared to control subjects. The authors believe that the lack of Gamma wave amplitude correlates with the inability to combine information from different brain regions. Perhaps schizophrenia is the abrupt formation of a neural pathway that leads to insights of information derived from currently undetermined sources and proper treatment is necessary for assimilation into the current, consensus reality in order to integrate the info? While I’m not quite well versed in the differences between "Channeling” and the “regular” psychic mediumship experience, it appears as though a “channeler” will have their mental consciousness taken over by the “entity” being “channeled”. It all seems rather far-fetched but at the same time… if we can take in the entire body of presented studies including the potentiality for telepathic communication and it’s subsequent mechanisms, perhaps it isn’t so far-fetched. A 2014 study published in the journal Neuron would showcase that brain circuits can tune into the frequency of other brain parts via a “tuning knob”. What’s to say that a person’s brain is incapable of tuning into frequencies which transmit information originating outside of their brains? If we are to be open to the possibility that the brain operates as an antenna that receives information rather than generating information, then the concept of “Channeling” might not seem so strange. It’s interesting to note that one of the more well known channelers named “Bashar” (Real name Daryl Anka) claims to have been EEG tested and subsequently showcased Gamma wave formation throughout his session. If anything, it would appear that much like Edgar Cayce, “channelers” are able to maintain a sustained level of hypnagogia utilizing phase coupling of slower waves to generate faster waves. This would appear rather similar to some of the observations regarding a 2002 study in the journal Perceptual and Motor Skills featuring the “Remote Viewing” capabilities by Ingo Swann. Whether these methods of generating information can ever be scientifically “proven” is a different discussion altogether. Let me rephrase that… whether these methods of generating information can ever be mechanistically deciphered by our latest technology is a different discussion altogether. In any case, Mr. Anka does provide some interesting insights regarding DMT found here and here. 16. Hollywood or Science… ET Experiences? Dr. John E. Mack was a Pulitzer-Prize winning biographer, a psychiatrist, and a tenured professor at Harvard University. In the 1990s, Mack would embark in a decade-plus study of 200 men and women who claimed to have had episodes in which they had encounters with “aliens”. He initially presumed that these people who claimed to have had “alien encounters” were likely suffering from mental illness. However, as he investigated further and found no obvious origin or observation of mental disease, he continued to probe. Dr. Mack would utilize regression hypnosis in order to assist the participants to recall their experiences in great detail so that he would be able to build a framework of what this experience truly signified. Mack would go on to publish two books on his study titled “Abduction: Human Encounters with Aliens” and “Passport to the Cosmos”. He would even appear on the Oprah Winfrey show to speak openly about the subject. His in-depth research into the subject would create some backlash at Harvard University which has been documented on Mack’s Wikipedia page. Dr. Rick Strassman’s study would also showcase reports of “alien-like encounters” when they were administered the higher level doses of DMT. Strassman would co-author a book titled “Inner Paths to Outer Space” which would present the link between the alien experience and psychedelic research. Many reports of “ET encounters” have consistently surfaced from people from all over the world who have ingested the shamanic brew known as Ayahuasca. Dr. Brian Weiss (who we cited in Part 3 of Gamma Waves & DMT) unexpectedly encountered patients who (under hypnosis for “past life” regression) would spontaneously discuss alien encounters. He outlines some of these experiences in his book “Same Soul, Many Bodies”. Dr. John C. Lilly (creator of the sensory deprivation/flotation tank) would also document alien-like experiences in his book “Center of the Cyclone: Looking into Inner Space” when immersed in sensory deprivation as well as ingesting psychedelic substances. He’d additionally postulate that dolphins were of an order of intelligence more sophisticated than humans. Many lucid dreamers, people who experience “sleep paralysis”, long-time meditators of various disciplines, Out-of-Body Experiencers, and even Near Death Experiencers have all reported variations of the “alien” experiences. While the “alien” experience can seem rather disconcerting to the average person’s beliefs systems, it is rather intriguing that “higher” states of consciousness and brain activity appear to pertain to these experiences. While the fields of UFO and extraterrestrial study are extremely in-depth branching out into wide subsections, when browsing the vast array of literature and video, the question still persists… is it real? It’s quite easy to automatically cite the Hollywood narrative of “aliens” and shrug off the phenomena altogether. However… the world of screenplay bears no role in the legitimate scientific mindset. If the alien experience is not “real” and simply an unexplained, ingrained part of our psyche, then we could possibly discount the experiences as potentially common and consistent DMT-induced “hallucinations”. Many supporters of the alien phenomena will cite the “Phoenix Lights” or “Roswell” as proof of alien existence outside of our minds. Some will even point to the thousands of videos on YouTube in which people capture strange light formations in the sky. In this age of technology it is extremely difficult to decipher what is exactly a true, unexplained aerial phenomenon and what is a cleverly designed hoax by talented video editors. There are some people claiming that the formation of designs known as “Crop Circles” provide undeniable proof that extraterrestrial activity on earth is real. There is much controversy surrounding this phenomena as the “official” story states that these intricate designs are created by sometimes as little as two people in the middle of the night utilizing simple tools such as ropes and wooden planks. Proponents that believe that there are ET origins of legitimate crop circles state specific anomalies in the plants such as abnormally shaped and bent plant nodes hypothesized to transpire from exposure to heat and radiation. So which one is it? Do ropes and boards explain the tools for design formation or are there more sophisticated techniques and equipment which explains the abnormal microwave radiation (which wouldn’t occur from the use of ropes and boards) emanating from some of these designs? It’s important to note that Crop Circles have been documented historically dating as far back as 1678 as outlined by Tara MacIsaac of the Epoch Times. The famous quote by the “Skeptic’s skeptic” Dr. Marcello Truzzi states “extraordinary claims require extraordinary proof”. If two men claim to be able to have designed the crop circle (down below) in the middle of the night under minimal light conditions, I would rationally believe this to definitely be an extraordinary claim. It doesn’t necessarily equate to believing that this formation has ET origins but rather that the claim itself is quite extraordinary based on the extreme precision (409 circles in complete symmetry, 700 feet in diameter), speed of completion (4-6 hours), and working conditions (darkness of night). If the designer’s claim was based on weeks of work in the daylight utilizing advanced equipment to make each design, the claim would definitely be considered less extraordinary by comparison. It wouldn’t take much to put this controversy to rest as an artist or group of artists would simply need to create an exact replica within the same time frame of this formation on camera in front of the predominant crop circle-ET proponents. An Atheist refers to a person that has a lack of belief of any higher power or “God”. One of the more amusing yet profound quotes from the book “DMT: The Spirit Molecule” was… “You can still be an atheist until 0.4”. This refers to the fact that at the lower levels of DMT administration an atheist could brush off the experiences to hallucinatory visions of the mind. However, at the highest level of DMT administration, a "non-believer” or atheist would have such a profound experience that they’d somehow become open to the concept that a “higher power” or “God” actually exists. This doesn’t necessarily refer to any specific religious discipline. In terms of science, the two fields that attempt to place the “religious” or “spiritual” experience in context are that of Neurotheology and Theoneurology. Neurotheology attempts to explain religious experience and behavior in neuroscientific terms. It is the study of correlations of brain activity with subjective experiences of spirituality and hypotheses to explain these phenomena. Proponents of neurotheology say there is a neurological and evolutionary basis for subjective experiences traditionally categorized as spiritual or religious. It would appear that when addressed in a singular conversation/perspective, the notion of “God” would appear rather impossible to prove (or disprove for that matter). However, when we begin to include all the phenomena outlined in our 6-part series of DMT/Gamma waves as well as our Wild Theories series (assuming we have provided sufficient framework for potential replication), it makes one question what the ultimate truth is. If a person can alter the Direct Current flow within their brain inducing hemispheric cohesion while subsequently synthesizing DMT endogenously that causes a unique electrical charge within the body leading to the possibility to alter membrane potential of diseased cells equating to “miraculous” healing… does that mean “God” exists? If during a similar electrical and biochemical state a person can reliably replicate telepathic transfer of thought or induce a measurable, quantifiable “Out of Body” experience… does that mean “God” exists? What about the ET experiences or psychic mediumship that facilitates communication with the deceased? If by chance there is one ounce of reality to these experiences… does that mean “God” exists? If we someday are able to replicate all of these “supernormal” abilities across the general population as well as document the precise cellular, electrical, genetic, enzymatic, and biochemical mechanisms taking place during these feats does that mean “God” doesn’t exist? While the discussion of a “higher power” tends to repulse scientific minds based on underlying connotations of religion, it doesn’t appear logical to dismiss the discussion altogether based on emotional distress. It would seem that it’d be much more effective to provide a more palatable framework for the conversation. While the field of science has done an excellent job of dissecting and explaining certain detailed mechanisms, the field and people within it might be better served to understand the roles of the scientific discipline… which is the explanation of the details and how they interlock with one another. To attempt to utilize the mechanistic explanations and interject them as encompassing the total seems a bit overreaching. This is especially pertinent when many prominent minds within numerous scientific fields have no basic knowledge or perspective regarding DMT’s role within their own physiology. We can utilize all the latest technology to decipher changes in cellular structure, glymphatic system fluctuations, ionic changes, neuronal network alterations and similar detailed mechanisms taking place within the brain during sleep but we still cannot explain the reasons why we experience dreams as these components interact. From a purely mechanical perspective of life assuming we are merely a flesh and bone result of evolution, there appears to be no logical reason why we must experience these hallucinations known as “dreams” during sleep. Perhaps we’ve explained 0.01% of all there is to know and we have 99.99% left to figure out. As far as I’m concerned, when examining the state of the global population it would seem rather arrogant to assume that we have so much figured out when there is still such a wide array of unnecessary issues pertaining to economics, healthcare, food quality, sociological, environmental sustainability, inequality, violence, and the dozens of other fields that could be named. One of the arguments against the concept of “God” that consistently sprouts up is… “if there is a God, why do bad things happen to good people?” This is not an illogical question to propose. However, perhaps in order to answer that question it would require a person to delve deep into the complexity of non religious based literature of a spiritual nature in order to make some sense of “young children born into abusive poverty and adolescent cancer cases”. Keep in mind that the rabbit hole regarding this field runs infinitely deep where there is much difficulty in “separating the wheat from the chaff”. I’m of the belief (which could be completely naive) that levels of complexity provide reliable markers of the intelligence of the designer(s). It is rather safe to say that nothing that humans have created (including the internet and everything it encompasses from content to hardware) can compete with the absolute complexity of nature and everything residing within it on earth and throughout the universe. To quote an amusing meme I’ve come across “To believe that there was once absolutely nothing, and that nothing happened to nothing until that nothing exploded creating everything and everywhere which subsequently rearranged itself into self-replicating bits which evolved into dinosaurs” seems a bit far-fetched. When we claim to have a logical, scientific grasp of the complexity of how the Universe was created based on explosions that took place billions of miles away, billions of years ago yet we cannot properly address disease which takes place within our own bodies makes one question the grand standing of perceived knowledge just a bit. Nevertheless… it does seem that in 2016, with the amount of information available and the interconnectivity of people, it would appear that the “God” conversation could retain intellectual parameters that might satisfy the atheistic “intellectual” as well as the spiritual seeker. I hope you enjoyed this series as much as I have. We’ll be looking to potentially utilize some of these theories in a project that might have some deeper ramifications for the world and our future. I hope to be able to release some of the details of this project soon!